Chicago and Northwestern Railroad between Chicago and Clinton Iowa. The fireman is in the cab but the rest of the crew -head man, rear man, engineer and conductor – pose by their train. 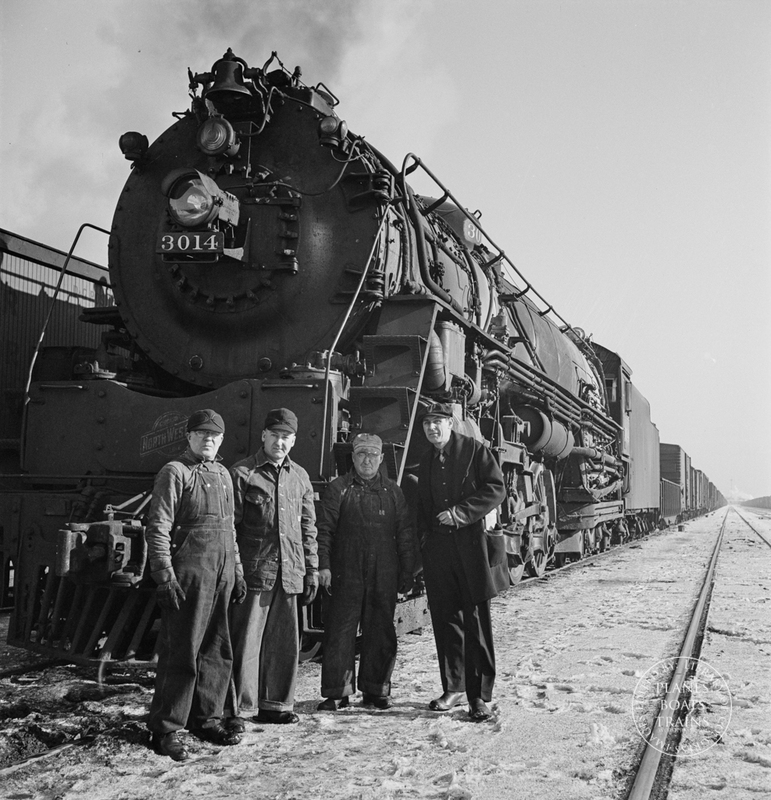 Title: Chicago and Northwestern Railroad between Chicago and Clinton Iowa. The fireman is in the cab but the rest of the crew -head man, rear man, engineer and conductor – pose by their train. ← Barstow, California. A view of the Atchison, Topeka and Santa Fe railroad yard at night.